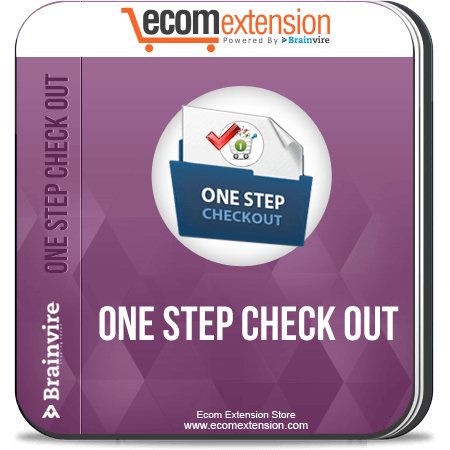 Magento One Step Checkout Extension allows users to fill all the required information for the checkout process without having to refresh the page hence simplifying the process. 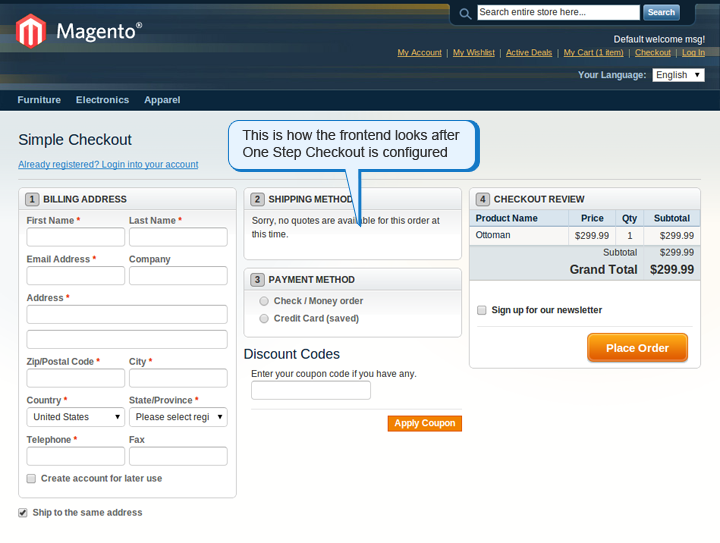 The Magento One Step Checkout Extension greatly simplifies the checkout process by allowing customers to simply fill all the order details in one single form without having to refresh the web page. A complicated check out process generally results in high abandoned cart rates. Ecomextension has specially designed a one step checkout process to convert the standard six steps of the Magento Checkout and reduced it to just one step. Customer fills all the relevant personal information, payment details and the mode of payment on one single page, hence speeding up the check out process. For the one step checkout extension AJAX is used for the calculation of total prices after the shipping and payment method is selected. This will greatly boost sales as more and more customers will complete the checkout process. These simple changes in the checkout process also greatly improves customer satisfaction. It also supports all the versions of Firefox, Chrome, Safari, and IE. 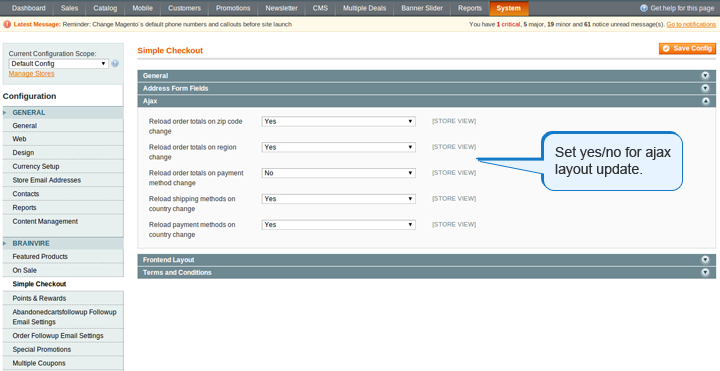 The process of checkout has just one step as opposed to the standard six steps in Magento. Provides customers to add multiple products and complete the purchasing process in just one transaction. 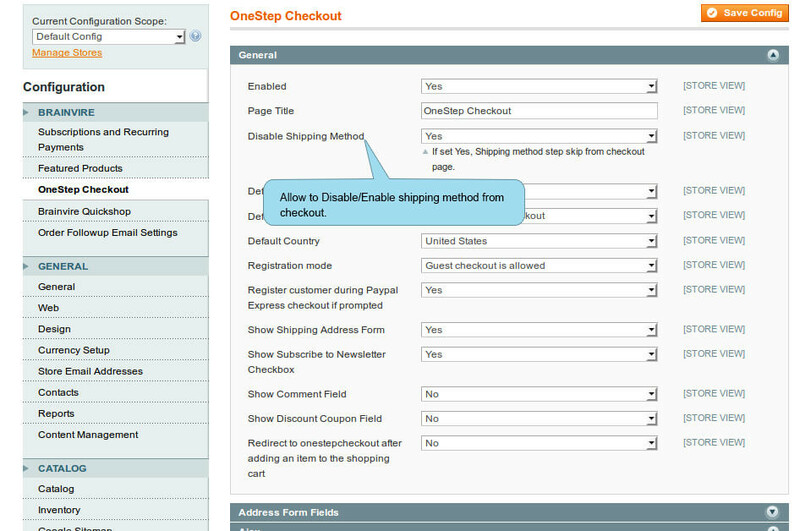 Enable and disable shopping cart for speeding up the checkout process. AJAX is used for enabling a pop up for login and enable popup. 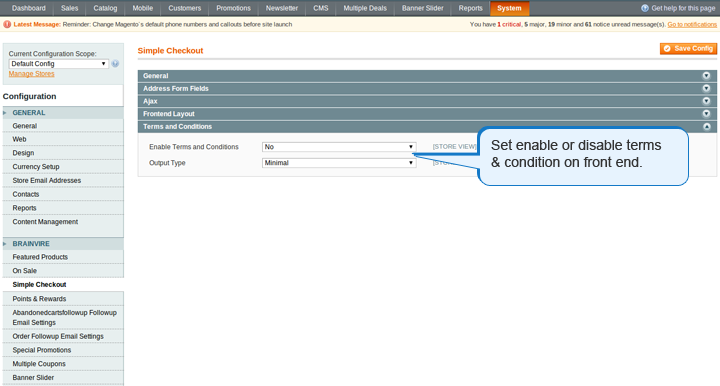 The extension also enables a checkbox for customers to subscribe for newsletters and for terms and conditions. Enabling and disabling of address fields, and setting them as either mandatory or optional. 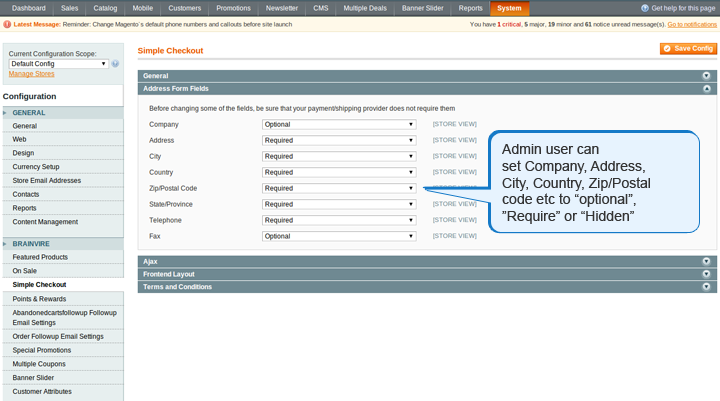 Allows customers to enter comments for special requirements for the orders they place. 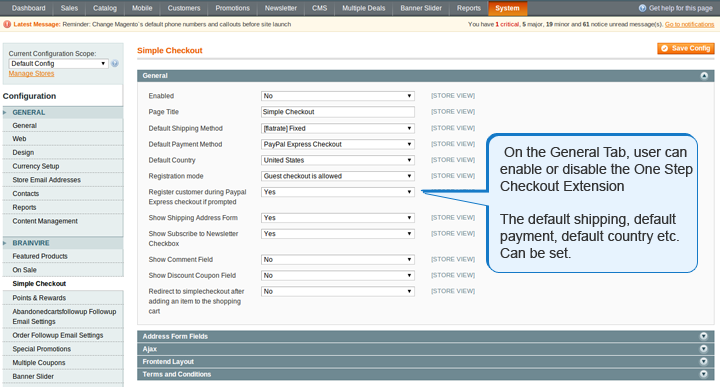 Features for auto update of prices, taxes and totals when selecting a shipping or payment methods. Support for Magento latest releases 1.9 CE and 1.14 EE. 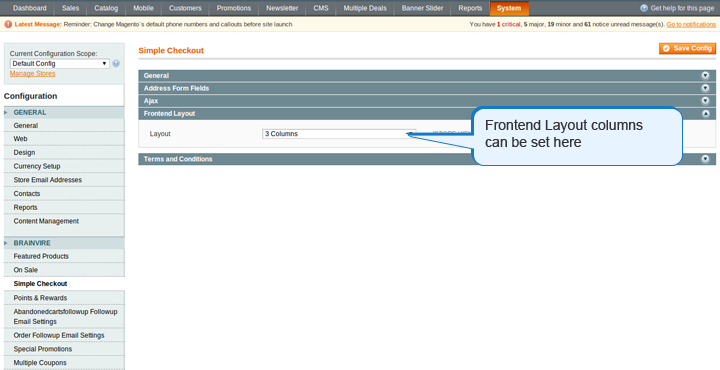 The CSS or the layout can be modified easily with the help of the regular Magento templates as well as CSS file. Full support for registration (creating new account, logging in, read more in our blog).